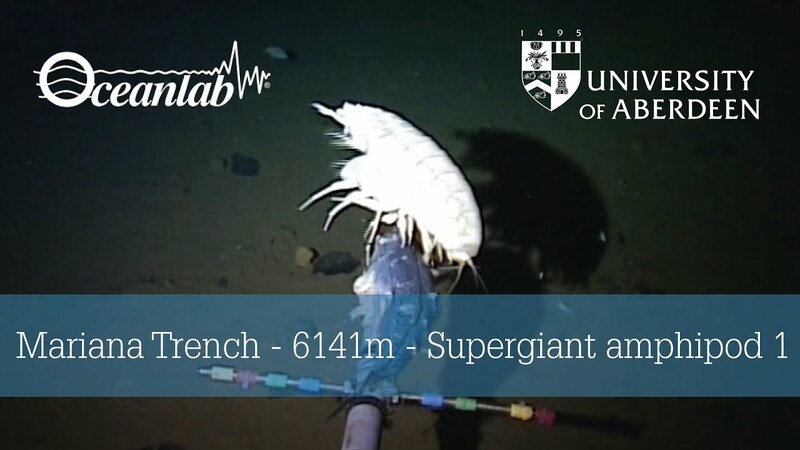 Oceanographers filmed a ghostly deep-sea snailfish 8,145 meters, around five miles, below the surface in the Mariana Trench. The 30-day research voyage took place aboard the Falkor ocean vessel, which also led to two or three other new species also recorded. "We're pretty confident it's a snailfish," said Dr. Alan Jamieson, from the University of Aberdeen's Oceanlab, in an interview with ABC News. "Not that we know. It's a new species." Snailfish tend to persevere in tough environments, but researchers were shocked to find the new ghostly species living so deep in the trench. However, this unique creature has broader fins which are translucent, an eel-like tail and stringy appendages that give it a better physical ability to live under so much water pressure.